Late last month Jordan Zakarin from SYFY Wire interviewed me about the representation of ethnic minorities in anime and manga. As ever, only a small part of the interview made it through to the final piece, so here’s our conversation in full. JZ: How did the look of anime and manga characters develop in the early years, to what seems to have significant Caucasian traits? What cultural factors led to that? “Whiteness” is the default position when you are delineating images in ink on a blank page. Culturally, the Japanese regard themselves as homogenous, and even the more significant local “minority” populations, such as the Koreans, Chinese and Ainu, are often physically indistinguishable, particularly when subtler nuances and differences are sacrificed to speed and economy. In the development of anime, early practitioners were heavily influenced by Disney and the Fleischer brothers. Sometimes they were aping an international art style known to work in foreign markets — Betty Boop, in particular seems like the prototype for a lot of early manga girls — but also an art style known to be suited to the available technology. When you have limited animation budgets, you can’t afford photo-real depictions of human image and movement. Bigger eyes allow for an easier, more simplified depiction of emotions; a small mouth requires less enunciation in speech; rainbow hair colours and wacky styles help distinguish characters at a glance, when a realistic depiction of Japanese people would be much more samey. Not to mention that fact that the early days of television in Japan were dominated by a tidal wave of foreign imports, that Japan only began to shake out of primetime in the late 1950s. As a result, the sight of white people speaking in fluent (dubbed) Japanese was common on Japanese TV. All these factors combined to make whiteness and the big-eyes/small-mouth look as regular occurences in anime and manga. There were occasional experiments to buck the trend — Giisaburo Sugii’s Tale of Genji, for example, which gave all the characters realistic hair colour (and thereby made them much harder to tell apart), and the titular Akira, whose features were certainly more pronounced and “Asian”. How did black people get portrayed early on, and how did that change over time? What (broadly speaking) caused any change? Early on, I’d say that black people were largely invisible or in subaltern roles, much as they were in American television. Japanese people’s experience of black people, if they had any experience at all, was largely derived from what they saw on foreign media, and occasional encounters with American soldiers and sailors. By setting Jungle Emperor (a.k.a. Kimba the White Lion) in Africa, Osamu Tezuka stumbled right into the middle of race issues. By modern standards, his caricatures of black characters in the manga would leave many readers aghast, but he would have been mortified to discover that he had insulted anyone. His black characters were no more or less caricatured than the whites, but he was drawing in a vacuum, unaware and unaffected by American identity politics. That is, of course, until the anime adaptation of his work, which was sold to America in production in 1965. This led to Tezuka being bombarded with directives from the American production end, seemingly borne from a new-found sensitivity towards racial issues in *America*. Although Kimba was set in Africa, the American directives began with a rule not to show black people, which was soon relaxed after protests from the writers, so it then allowed black people, but ONLY IF THEY WERE NICE! No bad blacks, only bad whites! 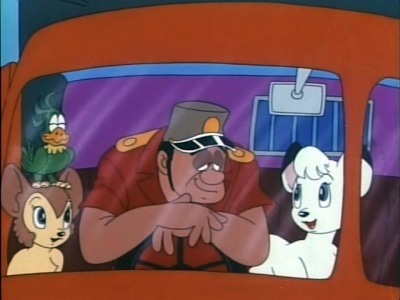 Later anime, particularly by the 1980s, often featured incidental black characters as reflections of a melting-pot future. Black characters had significant roles in the Macross franchise, for example. Nadia, the leading lady in the steampunk series Secret of Blue Water, was originally designed as significantly darker, but toned down to more of a tan colour in development. As an aside, in the late 1990s, the critic Maki Watanabe in Animage magazine called out Japanese cartoons for their relentlessly biased portrayal of Muslims and the Middle East. She pointed out that anime in the 1950s and 1960s had been awash with stories from the Arabian Nights, which while orientalist in tone, nevertheless featured middle-eastern characters as protagonists, leading men and heroines. But by the 1990s, influenced by and pandering to the American market, middle eastern characters were universally presented as terrorists and religious fanatics. How are black people portrayed in anime/manga (in Japan) now? In the sense that Japanese pop culture continues to at least engage in discourse with American pop culture, both cultural imports and work-for-hire for foreign clients have come to reflect changes in America’s own growing awareness of diversity. 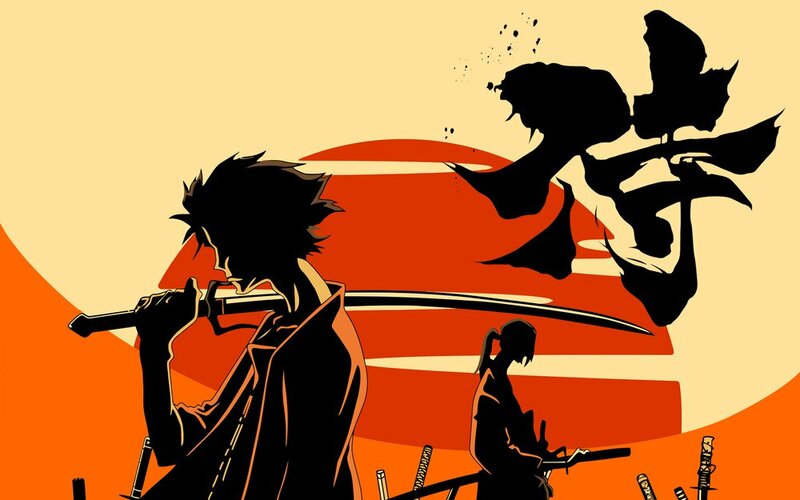 Black characters are regular occurences in the line-up of team-shows intended for international distribution, and there are shows like Cowboy Bebop and Samurai Champloo that actively reference blaxploitation and hip hop culture. 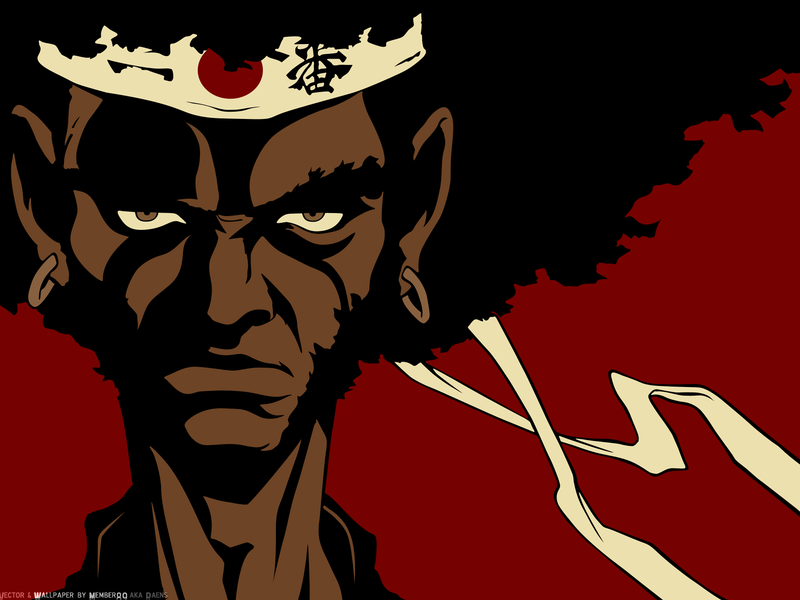 Most notably, of course, we have Afro Samurai, work made for hire by the Japanese for American clients, starring Samuel L. Jackson. How much more black could it be…. and the answer is none… none more black. I would also add that the rise of digital animation, since 1997, has changed the technical restrictions on the depiction of all forms of blackness. Too much darkness on a cel, be it night-scenes, or skin tones, or shadows, risked cel halation effects because the light from the rostrum camera would accentuate imperfections. This issue was wiped out by the adoption of digital imaging instead of cels, which meant that the turn of the 21st century saw a sudden rise in the number of vampire shows, night scenes, and moody noir. That may well have made it just plain easier to invest in the more realistic depiction of black characters, instead of just giving some characters a deeper tan. I think, though, it’s fair to say that although there are increasing examples of diversity in anime shows, these often remain the idle speculations of Japanese creatives with a limited experience of other cultures. Some black characters are living, breathing human beings, but others remain hullking, inarticulate gaijin seemingly inspired by something someone’s brother-in-law once said about a G.I. his friend’s friend once saw in Yokohama. This entry was posted in News and tagged anime, Japan by ixarette. Bookmark the permalink.